So, all the trash talking is done, players prepped and team selected. Who has the advantage? 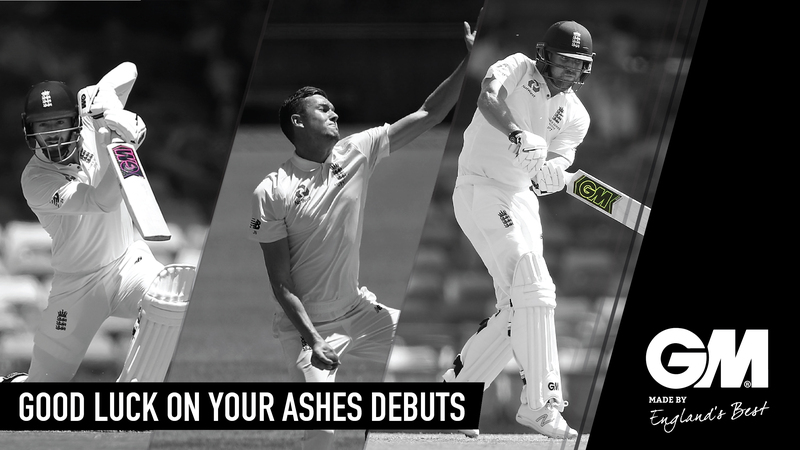 Only tonight at midnight (GMT) when the players take centre stage for the first time can the cricket can finally do the talking . I look forward to sitting back tonight and watching the cricket , if sleep deprivation allows. For more than one reason, like most of the Unicorn Group workforce, I will have added interest in how our GM guys get on, Dawid Malan , James Vince & Jake Ball have all been selected for the first test and we wish them the very best of luck. Team GM in Nottingham at the factory, everyone one of them have put something into what the guys will be using on the field of play tonight. So hopefully (or should I say when) James & Dawid raise their bats in achieving landmarks during the series, they are thanking Kev , Brian , Dave , Ade , Mark , Janice and the whole team. Let's get back to the subject of cricket rather than talking solely about GM. The most important question is who is going to win the Ashes? Well the bias in me says England. However, ruling with the head not with the heart I still think England. Four weeks ago there was concern that England would not score first innings runs. Three weeks ago, concerns over England's ability to take twenty wickets. However after looking at the Australia team selection, that Australia side should worry any cricket team in Australia . Rightly or wrongly only the next five days will tell us if GM know anything about cricket. Come on GM (sorry can't help myself) & come on England.